A car accident can be a frightening experience, and single-vehicle crashes are no exception. Single-vehicle collisions are types of traffic accidents that involve only one vehicle. Just because an accident involved one vehicle does not make the resulting damages somehow less scary, less painful, or less expensive. If you have been injured or involved in a single-vehicle collision, you need to speak immediately with an Indianapolis personal injury lawyer from Parr Richey Frandsen Patterson Kruse LLP. Many times, victims of single-vehicle collisions worry about insurance premiums increasing. The financial burden can be overwhelming, and an experienced attorney from our firm can help make certain that you adhere to the legal process and that your insurance company plays by the rules. Avoid insurance disputes. Retain an Indiana car accident lawyer. If you were involved in a single-car accident, you need to hire an Indianapolis single-vehicle collision attorney from our firm immediately. 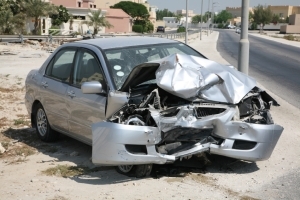 Even though your accident was caused by no fault of your own, insurance companies could still increase your premiums. Let our personal injury legal team help you navigate the legal process to minimize the financial, physical, and emotional risks after an accident! On top of that, you could be left to pay for the property damage to your car or the medical expenses from the accident. For many accident victims, this type of unexpected financial obligation could be completely overwhelming. If you have suffered damages, we will work hard to help you receive the best possible compensation so that you can recover properly without feeling the immense financial burden. Contact Parr Richey Frandsen Patterson Kruse LLP today to speak with a member of our Indianapolis legal team. Our experienced trial attorneys have secured million-dollar settlements for clients in the past! With our extensive knowledge of the law, the courts, and insurance company techniques, we can guide you towards taking the most effective legal action so that you aren't left alone in an insurance dispute.